The kitchen is the heart of your home: it’s where you cook, throw dinner parties, roast the Thanksgiving turkey, and where your kids gather for after school snacks. Since it’s such an important part of the house, the right kitchen update ideas can really make a big impact on your enjoyment of the space. The problem is often that the kitchen is full of items that are very expensive to upgrade. If you’re craving a much needed kitchen update, there are actually a ton of ways you can do it without spending too much money. Need to upgrade a kitchen before selling your house? Even better. There are several kitchen decor makeovers on a tight budget that will transform any old space. Here are 5 kitchen update ideas that have a low cost but a big impact on how your kitchen looks and feels. If you have dated old linoleum, dirty or cracking tile, or (hopefully not) carpet in the kitchen, then you should seriously consider redoing the kitchen floor. Putting hardwood, high end laminate, or engineered flooring in a house is a type of remodeling that increases home value, so you can’t really go wrong here unless you pick the wrong shade. It will cost you around $2,800 to put in new laminate floors in a 500 square foot space, according to Home Advisor. We recommend going with a warm, mid-tone oak if you’re selling the house, and whatever finish satisfies your personal style if you’re not! This is one of the more expensive of the kitchen update ideas but it has a huge impact if you are working with an old floor. This trick is DIY-able, quick, affordable, and will seriously transform your space. You can buy chic silver cabinet knobs and pulls at any hardware store for around $2.00 each so this is one of the least expensive kitchen update ideas. You’ll be surprised at how much of a difference new hardware can make–the kitchen will feel new, fresh, and clean. 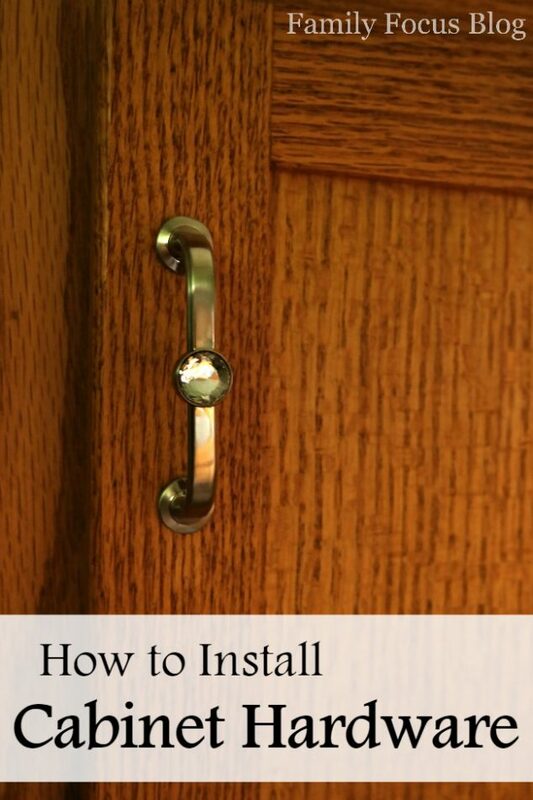 Here is a tutorial for how to install cabinet hardware. 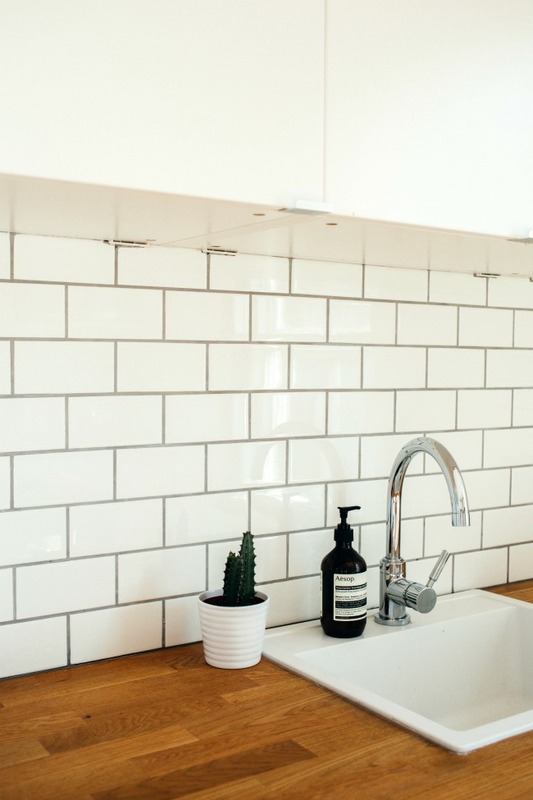 Kitchen faucets can cost anywhere between $80 and $500, and you can definitely find a low-cost option that is beautiful and functional. A cracked, grimey, or old faucet can really date the space, so it’s best to replace this fundamental kitchen fixture if needed. This is another kitchen upgrade that’s easy to do yourself and shouldn’t take too long to complete. This may be one of the most impactful kitchen update ideas. Changing the look of your kitchen cabinets will have the biggest overall impact on the space, and you don’t have to completely rip out the old ones to do it. You’ll save thousands if you do the job yourself, and the kitchen will look just as fabulous. The best part is that you’ll only have to pay for supplies. You’ll need cleaning supplies, sandpaper, tools to remove the hardware, painter’s tape to label the doors, paint brushes, and then stain or primer and paint. To paint your kitchen cabinets yourself, take all of the cabinets off their hinges and number them so that you know exactly where they go. Then, do a deep clean of the doors and cabinet interiors. Now it’s time to sand down the cabinet doors. After you’ve sanded them, you’ll prime the cabinets and let that fully dry. Then you can paint! This one’s a fun hack that you probably haven’t heard before. If you have a dishwasher you like but aren’t satisfied with the color, don’t order a new one just yet. According to Lifehacker, you can unscrew the screws at the bottom of the door. Then, pull out the door panel. If there’s a different color on the other side, just flip it over and screw it back in. There you go! You just saved yourself hundreds of dollars. Which Of These Kitchen Update Ideas Is Your Favorite? 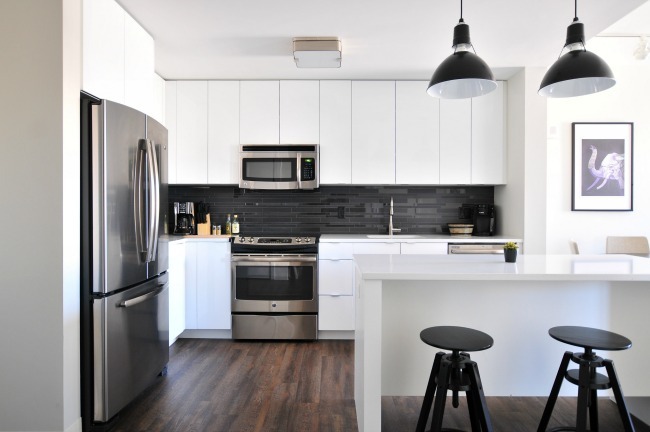 If you’re updating to create your dream modern family kitchen, then these small changes should go a long way to make the space feel perfect. 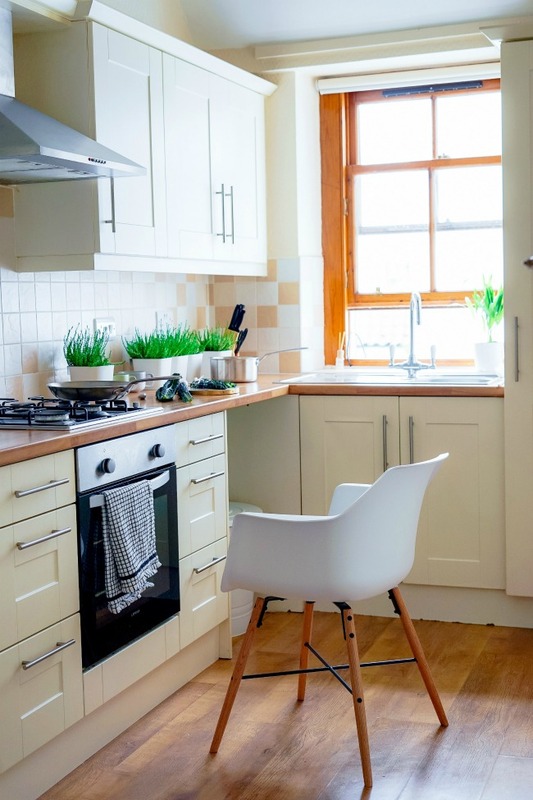 If you’re updating the kitchen because you’re selling or are having trouble selling the house, it could be just what you need to turn around the sale. A dated kitchen may be the reason why your home isn’t selling, so you’ve come to the right place. These simple kitchen update ideas will make a huge difference in transforming your kitchen, and we can’t wait to see what you’ve come up with! Tag us in your kitchen updates @familyfocusblog. You may also be interested in this tutorial for a DIY kitchen island! I love these ideas, in fact I have mentioned most of these to my husband in regards to our dated, worn 1960s kitchen. I love our unique vintage oven that came with the home and the the old school porcelain sink, however the floors are an awful quick fix sticky tile from I don’t know how long age and the cabinets need a good sanding down and refinishing. My favorite suggestion is definately the one about updated the kitchen faucet. We did this recently in not only our kitchen but the front bathroom as well and I have to say, it has made so much difference! Not only in our homes appearance but in our daily lives as well. The ease of new and updated items really proved to be a great choice for us.